Store clothes in style with this beach chic dresser. Crafted from Sengon Tekik wood, the piece carries a natural driftwood-like appearance that is rustic and warm. Wave designs break up the drawer fronts and create hidden pulls, giving the piece its sleek, yet beachy appearance. Six drawers, including two top drawers with removable felt liners, ensure ample space to store and organize clothing. 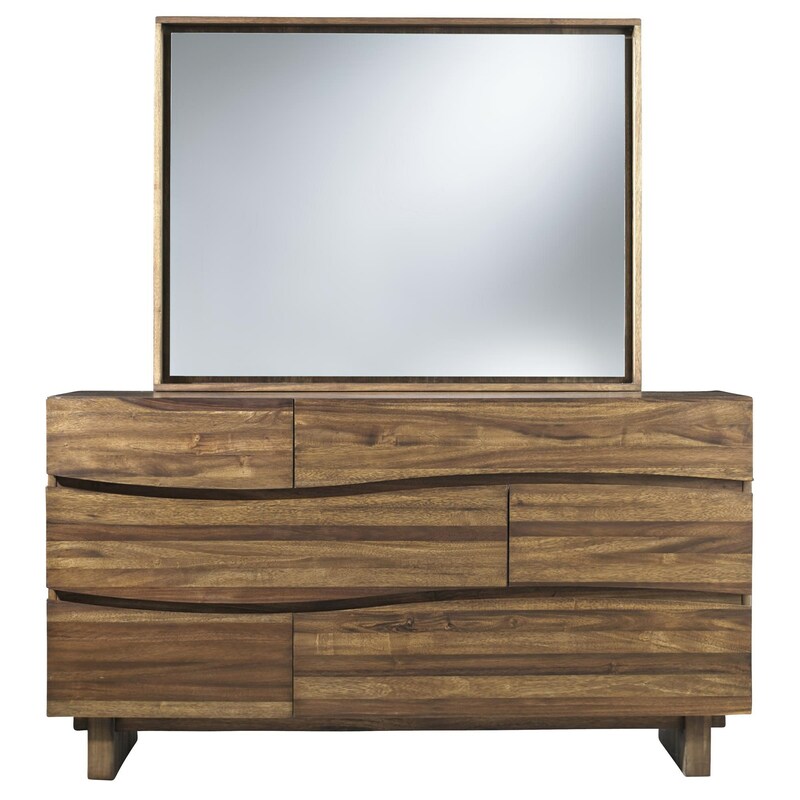 The Ocean 6 Drawer Dresser by Modus International at HomeWorld Furniture in the Hawaii, Oahu, Hilo, Kona, Maui area. Product availability may vary. Contact us for the most current availability on this product.